It has been snowing a lot. 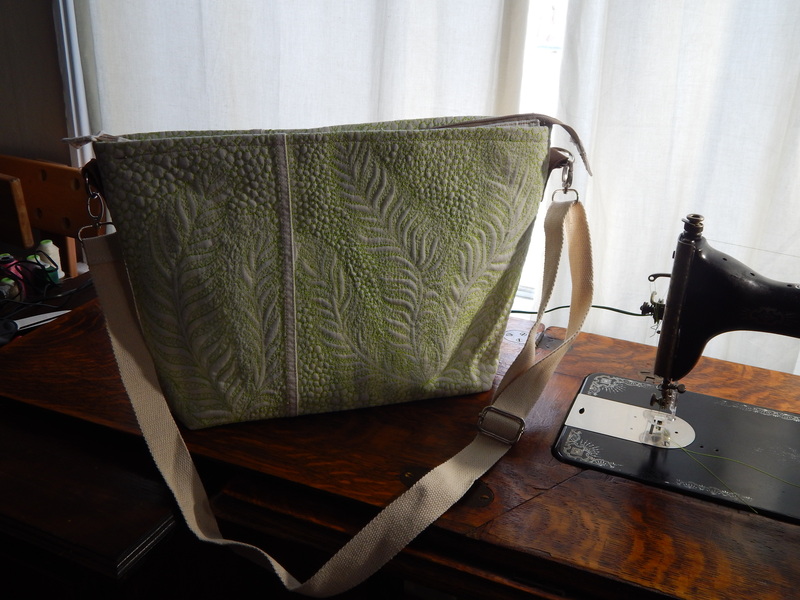 I have been busy making blue denim bags to fill orders but I took a break from that to do a white bag. here is a video. I finished it and listed it for sale. It sold within 5 minutes. 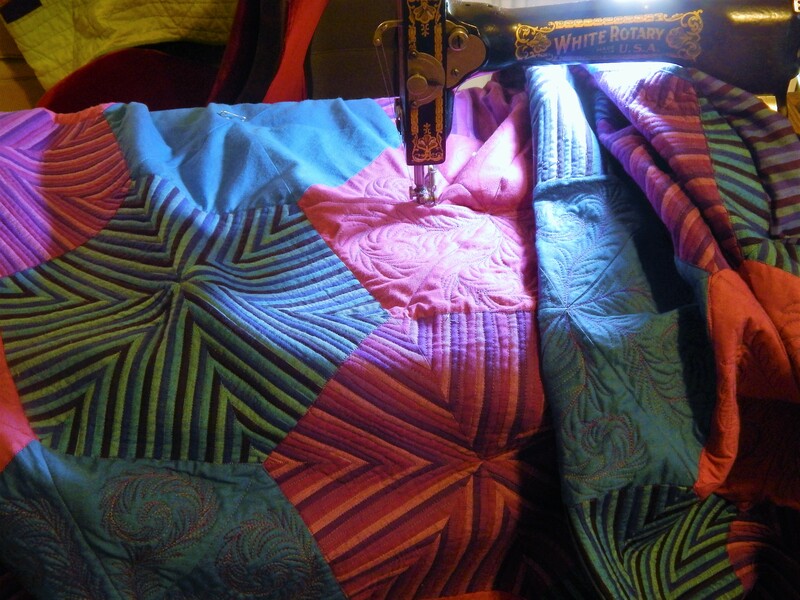 still hand quilting every night…..I’ll get some pictures of that soon. This entry was posted in ETC, Quilts. 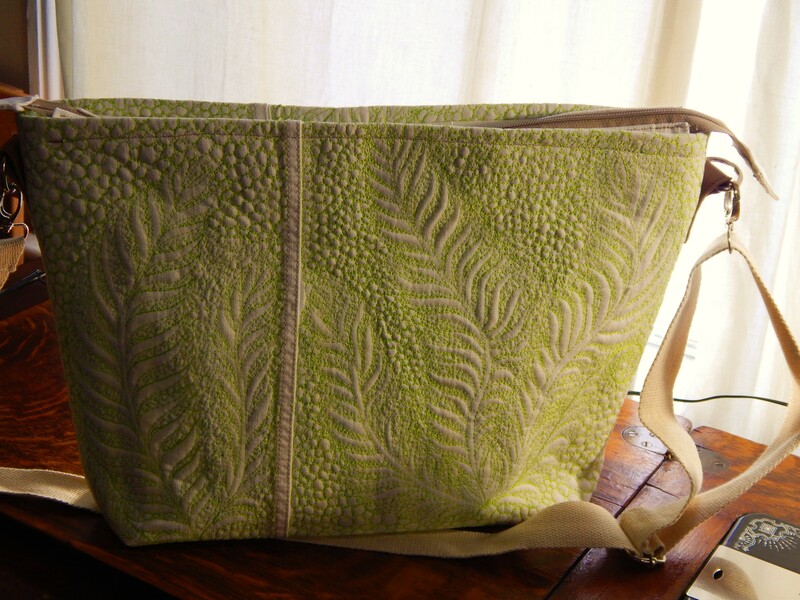 That’s a beautiful bag, no wonder it sold so quickly!! Lots of snow here yesterday too, but then it rained all day today. Now the deep freeze is going to turn it all to cement tonight! Happy shoveling! 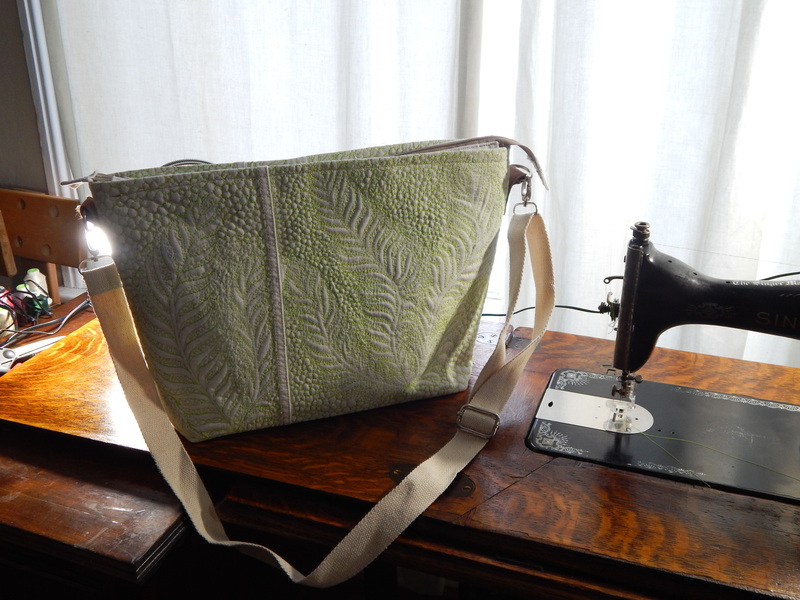 Congratulations on building up the dexterity needed, over this past year, to perfect your free motion style, treadle quilting. Practice, practice – great advice. The white denim quilting video is terrific! 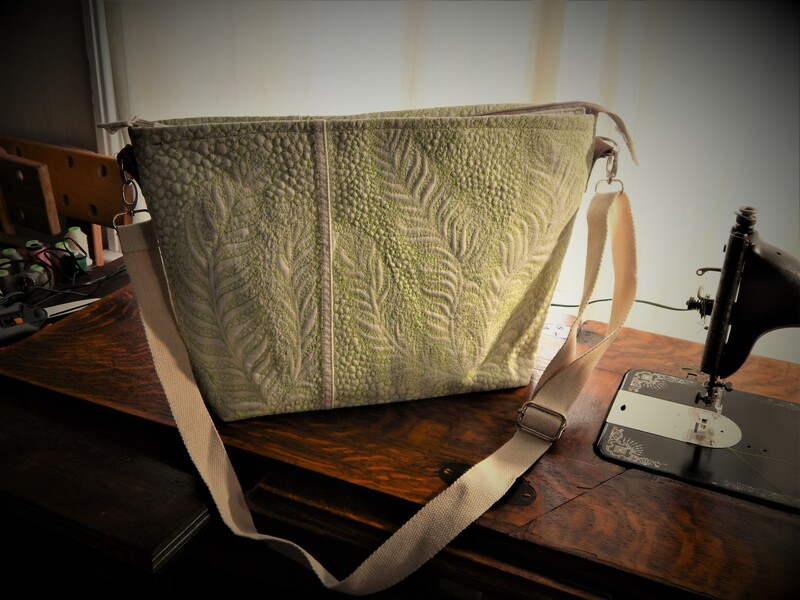 I absolutely LOVE your bags! Nice job, Tim! We’ve gotten buried under snow, too. And the cold is bone-chilling. This morning it was 20 below zero. 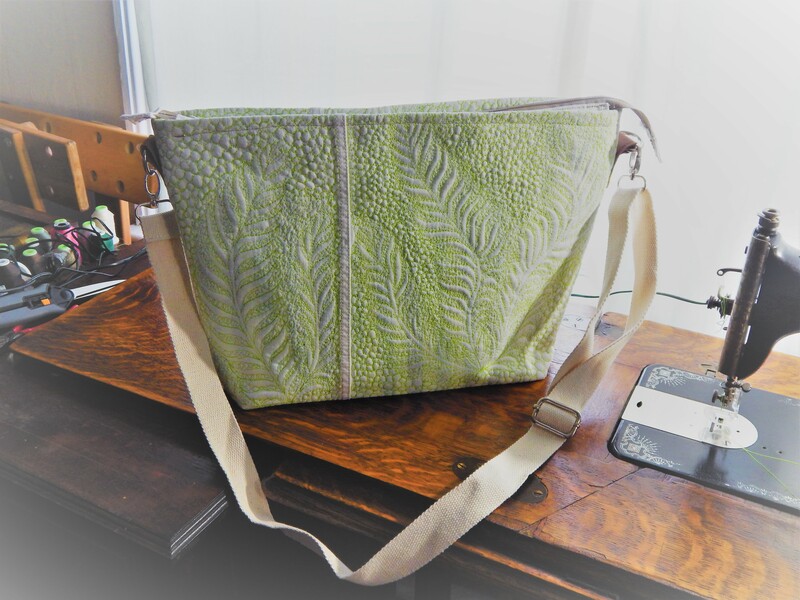 Your bag is terrific – you are a true artist. Thank you for the snow photos. It is hard for me to believe that your garden, while completely buried in snow now will revive to its beautiful summer state again next year. Amazing! it is amazing, but The garden likes the snow cover, it keeps the ground from freezing and thawing which is worse than staying frozen ……. And the sound of the treadle takes me back. Not sure where as my Mother used my Grandmother’s only a few times. A comforting sound to me though. You have obviously hit on a fabulous product. 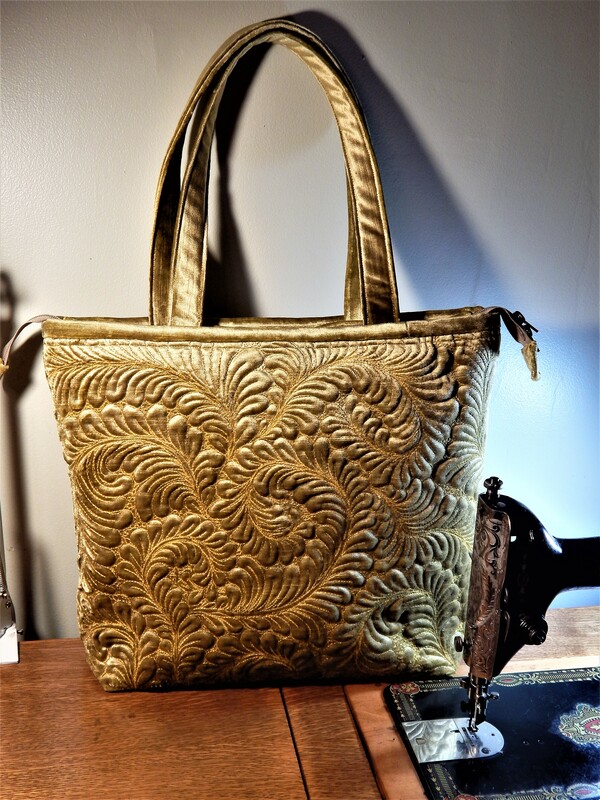 Your bags are both beautiful and unique — and I hope they are also profitable and enjoyable to make. 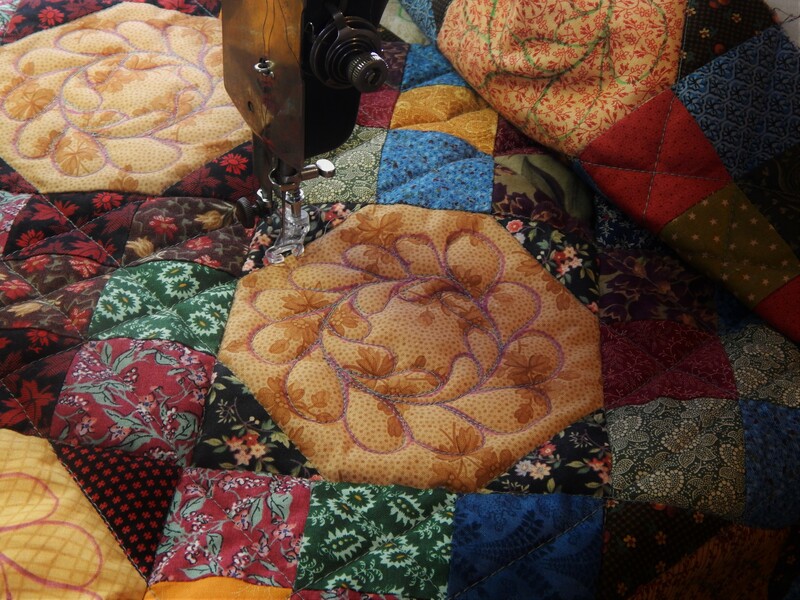 Watching the wonderful videos of your treadle machine quilting is fascinating. I find myself trolling Criag’s List for treadle machines, even though I have no idea where I’d put it. Thank you for all that you share — I am inspired by everything you create. That is gorgeous! I think you are on to something. I hope you are including a sewn in in label with your name. Once they see them, folks are going to start wanting these original designer pieces. 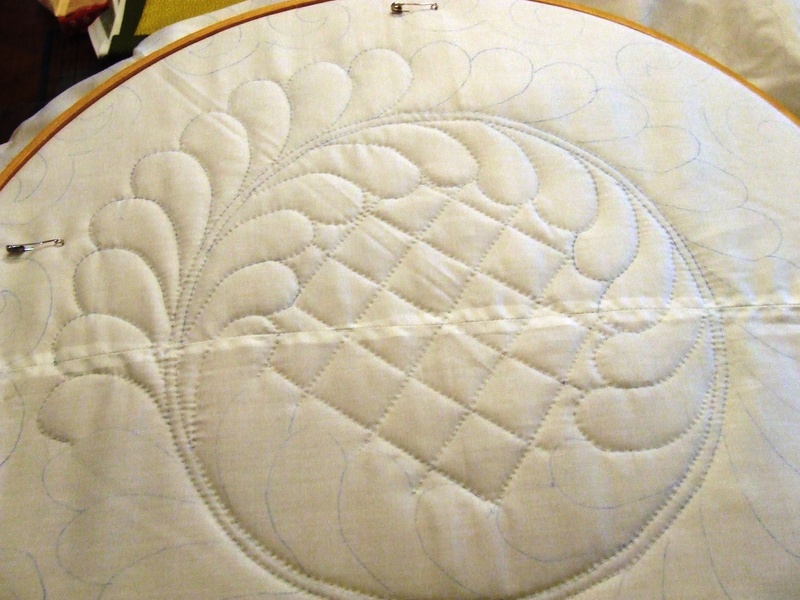 Your treadle quilting has inspired me to get my treadle going again. Thank you.